WASHINGTON (AP) — U.S. experts on Russia see a growing danger that the crisis in Ukraine that has already taken thousands of lives could explode, although the latest cease-fire agreement has partially held. 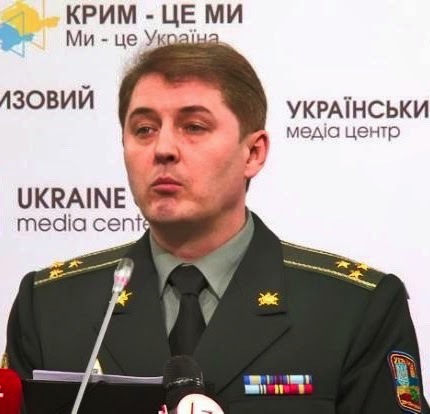 A Ukrainian army spokesperson has reported shelling by pro-Russian rebels last weekend in Eastern Ukraine, despite the Minsk ceasefire agreement which is in place. U.S. and Western European moves to isolate Russia and damage its economy for its seizure of the Crimean peninsula and support of separatists in eastern Ukraine against the Western-backed central government have not forced President Vladimir Putin to back down. The State Department says Russia is beefing up its troops and weapons along the Ukrainian border. Meanwhile, the U.S. has dispatched 300 American military trainers to work with the Ukraine army, and other NATO members are adding hundreds more. Experts say that's a fuse of a much wider conflict waiting to be lit after a year of battle that the U.N. says has taken at least 6,100 lives. Andrew Weiss, Russia expert at the Carnegie Endowment for International Peace, said an egregious action by Russian forces in eastern Ukraine or an incident between U.S. and Russian forces could cause an escalation. He said a recent near-collision of U.S. and Russian military jets over the Baltics highlighted the risk. "So there's a lot of volatility here that's embedded in the crisis," Weiss said. "So I'm thinking the current lull just doesn't look sustainable. And it's only a matter of time before something triggers a new escalatory spiral." Fighting in eastern Ukraine has ebbed substantially since the signing of a February cease-fire deal, but sporadic clashes still break out along the 280-mile front line separating government and rebel forces. U.S. Gen. Philip Breedlove, commander of NATO forces in Europe, told a congressional hearing Thursday that it appears Russian forces have used the lull in fighting to reposition for another offensive. Western economic sanctions have taken their toll on the Russian economy that President Barack Obama said in his State of the Union address in January "was in tatters." The impact of those economic woes was felt most by average Russians. Russia, however, has won some economic breathing space as its currency, the ruble, regained ground from panic-level lows at the end of last year. Oil prices — for the time — have ended a precipitous decline and the flow of capital out of the country has slowed. The latest poll by the independent Levada agency showed Putin's approval rating was an overwhelming 86 percent in April. But there are signs that Russia could be headed for deeper economic problems. This year's first-quarter gross domestic product is off 2 percent and a fairly deep recession still is forecast for the next two to three years. Capital outflow this year is projected at $90 billion to $100 billion, which is much better than 2014's disaster, but that projection is still about 50 percent higher than the outflow of 2013. And oil prices, while stabilizing, are down about 50 percent, which cuts deeply into Russian government income. "You've seen some bad news about the Russian economy," Weiss said, "but nothing that's catastrophic or dire. None of what has been put on the table so far (in terms of sanctions) has had an effect on what Putin will do or not do in Ukraine tomorrow." As for Ukraine itself, Weiss warns that the state is fragile, and it will be difficult for President Petro Poroshenko to deliver on ambitions for significant economic reform and changes in the political system that has been dominated by a corrupt Ukrainian elite for most of the past 25 years. So what is the way out of the standoff? "At the moment all the signs are bad," said Stephen Cohen, a Russia expert and professor emeritus at Princeton and New York University. Cohen is a longtime and vocal critic of American policy toward Russia. He, like Putin, believes U.S. policy has been provocative ever since the collapse of the Soviet Union in 1991, starting with the expansion of NATO into former Soviet republics and Soviet satellite nations in Eastern and Central Europe. Washington is determined that the new Western-leaning Ukraine government be freed of Moscow's orbit. Putin has declared it must not. "Putin has said from the beginning what he wants is enough home-rule in the southeastern territory," Cohen said of the industrial and coal-producing region that is heavily populated with ethnic Russians. Putin has said he's never going to desert the people in eastern Ukraine. And he wants a guarantee that Ukraine never joins the NATO alliance.